Who doesn’t love cheesecake? Soft, sweet and sometimes just what you need with your coffee or a cup of tea. If you’re on the ketogenic diet, or any diet, avoiding carbs and sugars is always the goal. So, you’d probably think that eating cheesecake would be a mistake. Not, if you make one yourself and do it the right way! 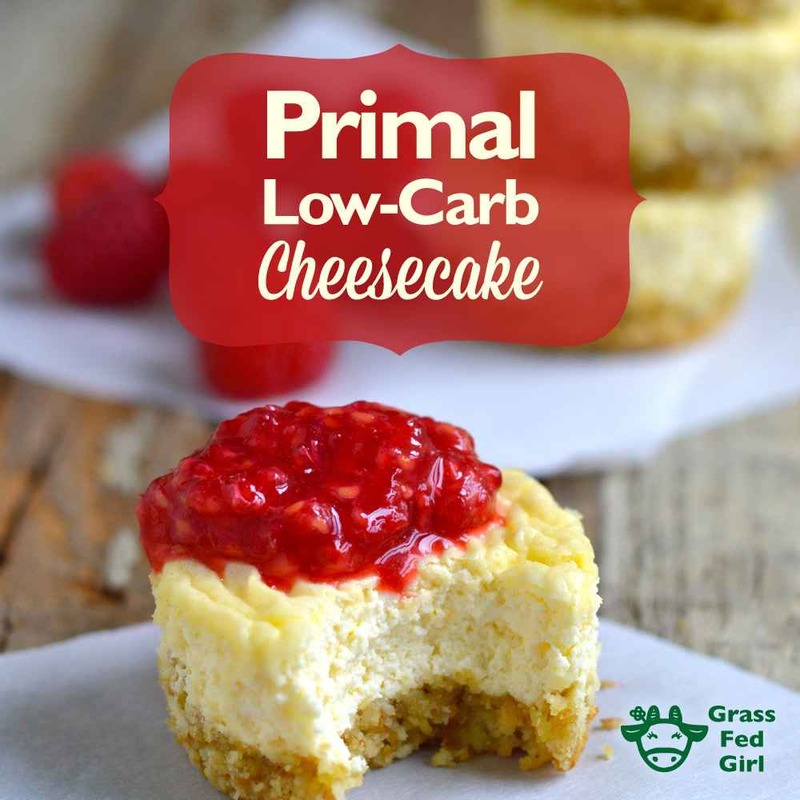 Low carb cheesecakes do exist, and they’ll help to lose weight without feeling like you’re dieting. To give your cheesecakes the sweetness you want, you’ll need to use a sweetener. Keep on reading to find out which sweeteners taste best and are healthiest to your gut. A simple cheesecake can make anyone’s day. The only trick to making them all love it and keep it keto-friendly is powdered Erythritol. It’s a sweetener that doesn’t have the chemical aftertaste and is proven by research to be one of the healthier sweeteners out there. This is the one I recommend. The crust is made out of almond flour to save those carbs. You could very well use coconut flour too. However, almond flour has fewer carbs. Feel free to pile up on blanched almond flour here. Pumpkins are in season in autumn and winter, so this cheesecake is perfect for the colder time of the year. It also looks amazing! 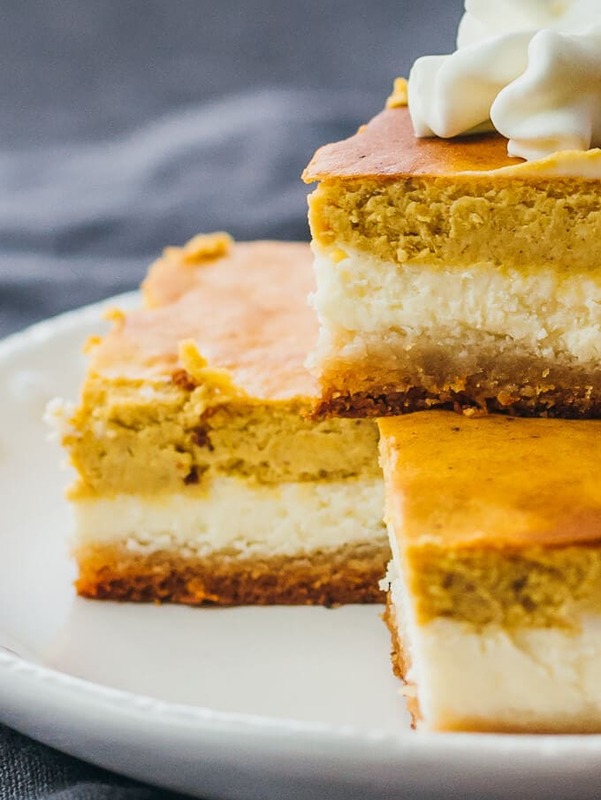 The cheesecake is layered with almond crust, the cheese, and pumpkin layer. While this little invention requires some work, it’s absolutely delicious. Added cinnamon and ginger make for a perfect Christmas or Halloween ketogenic dessert. But, feel free to try it on any other more special occasion. If you’re on the keto diet, you know that berries are one of those things that you can eat! They’re lower in carbs and more acidic. 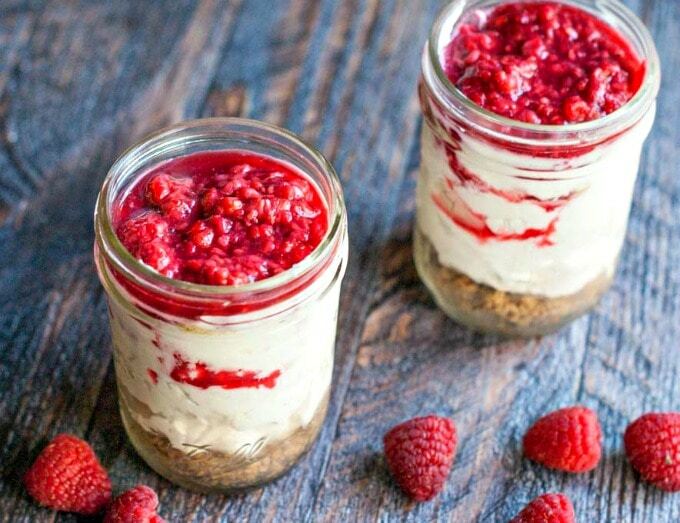 If you’re a fan of raspberries and prefer a cheesecake in a jar, try this recipe. It’ll help with your cravings! It’s also great if you have friends over for the dinner as you can easily serve these jars as a dessert. They look very delicious and taste just as good. One last thing that’s great about this particular recipe is that you can make it happen very fast. 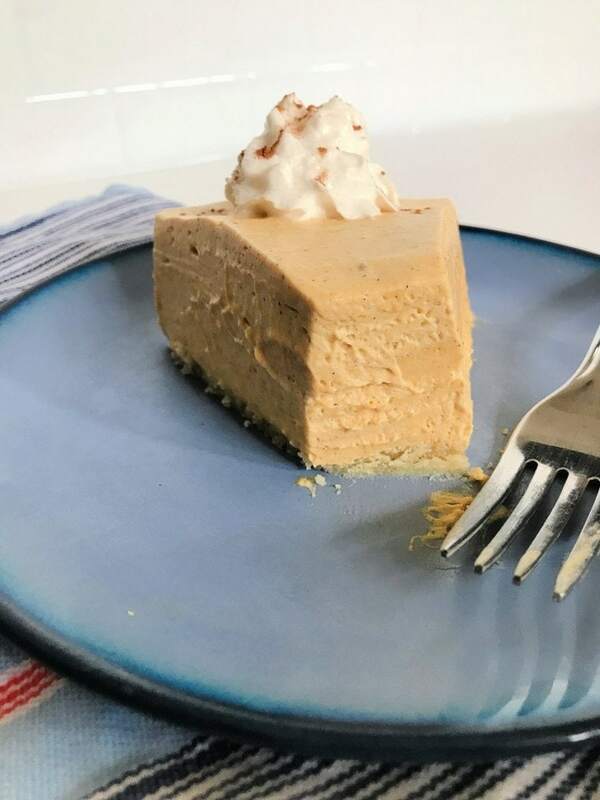 It takes only around 20 minutes to prepare this keto dessert. If you’re not a big fan of the crust when it comes to the cheesecakes, don’t feel bad about it. You can totally make one that has it. 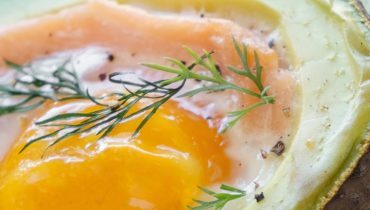 The recipe requires only 5 ingredients and only 15 minutes of preparation. Obviously, it takes around an hour cook it up, but the results are great! Serve this cheesecake with berries of your choice to give it a little bit of acidity. 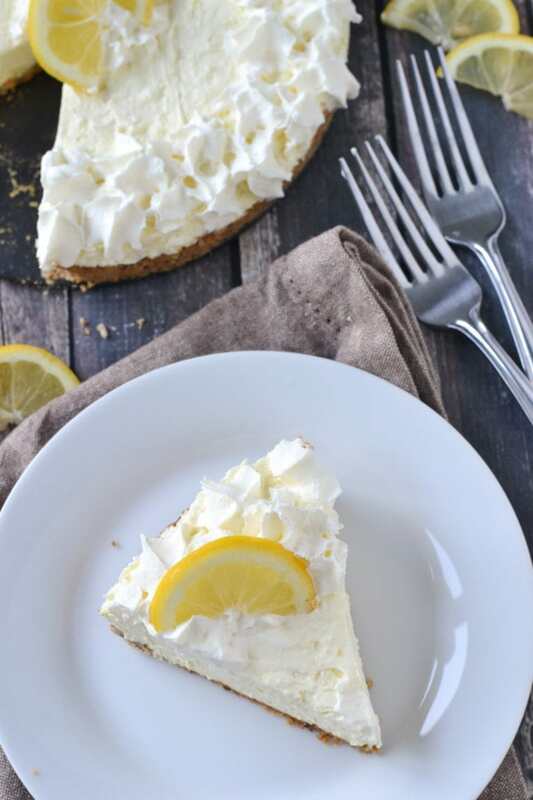 While the cheesecake looks very simple, it does melt in your mouth and tastes heavenly. 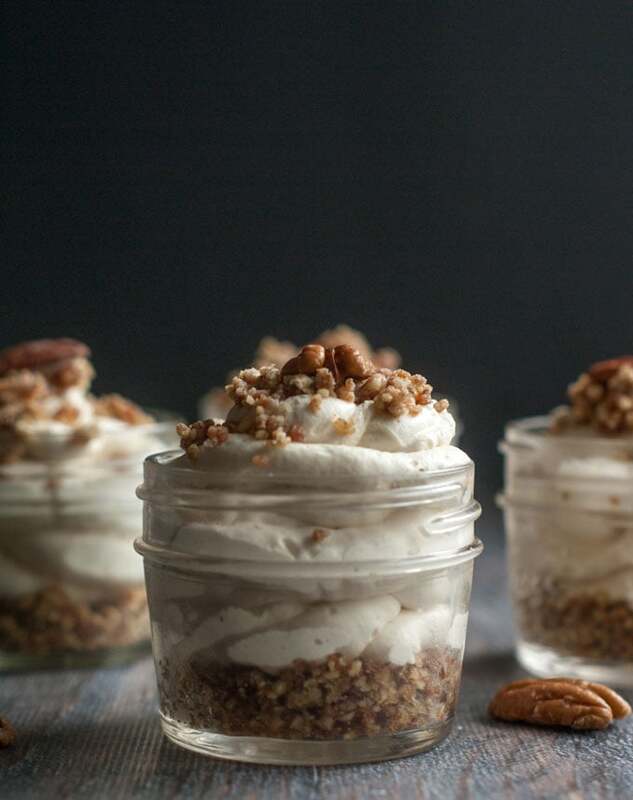 The crunchiness of pecans and softness of the cream cheese create a beautiful combination of flavors. What I found interesting about this cheesecake is that it contains bacon. Yes, you’ve heard me right! The truth is the combination of bacon and pecan creates a perfect crust. Also, it brings a whole new flavor palette into the cheesecake world. 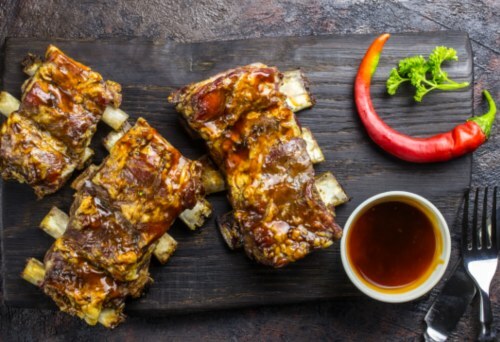 Definitely give a try, because it’s fast to make and tastes absolutely delicious. As some people say, everything tastes better in jars! And that’s definitely the truth for cheesecakes as well. This recipe requires a food processor. Trust me, you want to get one if you’re on the ketogenic diet. I love this budget-friendly food processor here. It works well and doesn’t cost all that much. So, I recommend getting one, whether it’s a cheaper or more expensive one, it’s up to you. However, you’re going to use it with so many keto recipes, it’s definitely worth it. Here is another pumpkin cheesecake but it’s slightly different. A bit easier to make too. You’ll need pumpkin puree for this recipe. If it’s pumpkin season (I’m talking autumn and winter), I’d recommend making your own pumpkin puree. That’s mostly because the vegetables are more nutritious when they’re in season. Plus, tinned pumpkin puree is most likely going to have added preservatives. Here is a short recipe on how to make your own pumpkin puree. It’s easy, all you have to do is steam it, bake and blend it. Afterward, you can just freeze it. Don’t invest in expensive steamers, especially if you’re tight on budget. Just buy a steamer basket like this one here. When it comes to a blender, if you want it to blend whatever you put in it without fear, it needs to have a minimum of 500W of power. Lower power usually means lower price too! So, definitely look for something in the range of 500W-600W to save some $$. This blender is a good option to consider. Anyway, this cheesecake truly tastes like pumpkin and the natural sweetness of it makes it truly special. If you’re a bit of a lime fan and love the bitterness/acidity of it, give this cheesecake a try. It requires only a handful of ingredients, but the end result is delicious. The lime makes the dessert a little bit more special too. 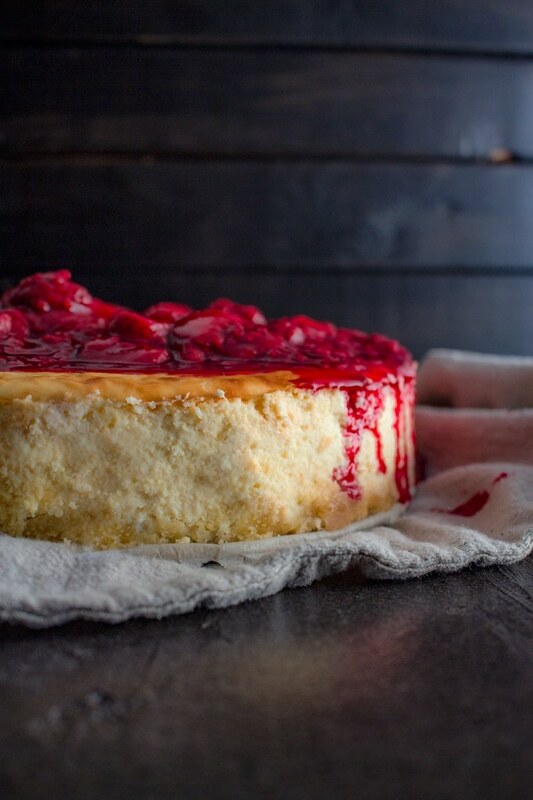 Thus, if you want to impress a friend or two, just make this cheesecake. 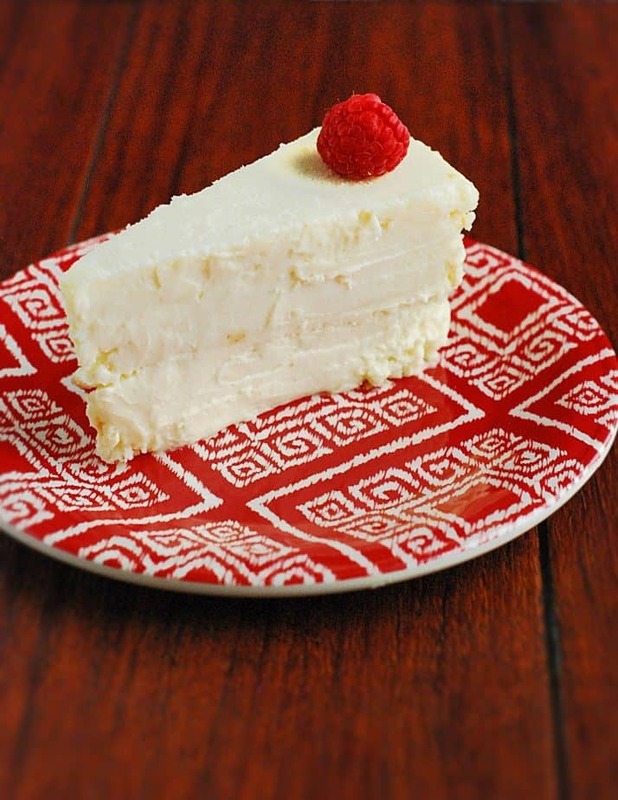 Try this iconic NYC cheesecake recipe that’s especially great for celebrations. It’s a piece of perfection that you won’t be able to find anywhere else. The soft crust and homemade keto-friendly strawberry jam simply taste beautiful. It’s actually a pretty basic cheesecake but it doesn’t look it at all. Plus, it tastes just amazing. 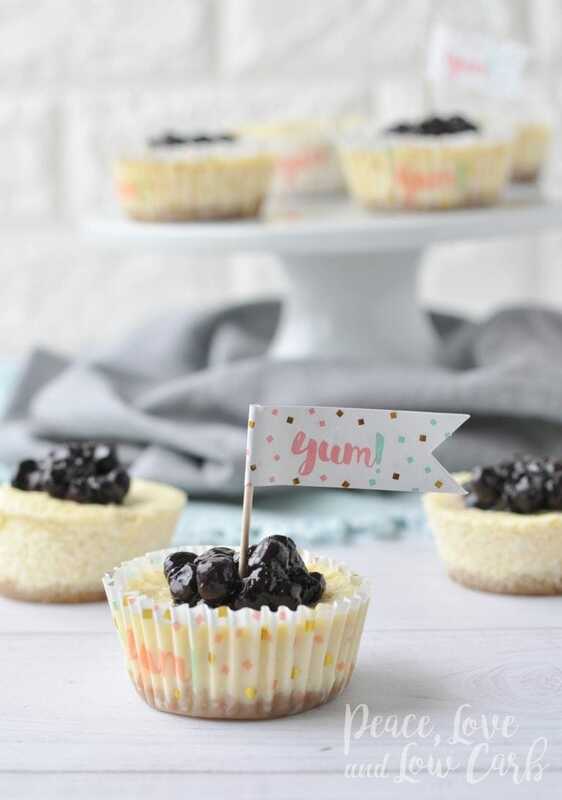 These mini blueberry cheesecakes are like cupcakes. So, that’s definitely the type of dessert you want to bring to your workplace and share with your colleagues. Also, having them this way helps you to not overindulge. When you have a huge cheesecake, sometimes it’s easy to lose track of what you’ve eaten so far. That’s not the case with these mini cheesecakes. Also, it’s much easier to track your carbs when you’re eating the dessert in precise portions. 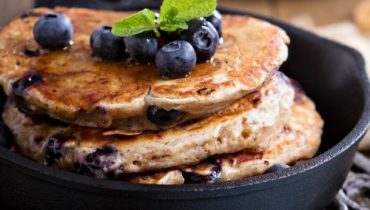 Blueberries here give a nice little touch the flavor palette but you can always use other berries to change it up a little bit. If you like your cheesecake with a little bit of black chocolate, try this recipe. It has a layer of cake topped with cheese and chocolate. Since the recipe contains black chocolate, the cheesecake is a little bit heavier and perhaps better for an afternoon tea. Wouldn’t’ recommend eating it in the evening unless you have huge cravings. Make sure the black chocolate you use is low carb. 85-90% Lindt chocolate is a good choice for this recipe. 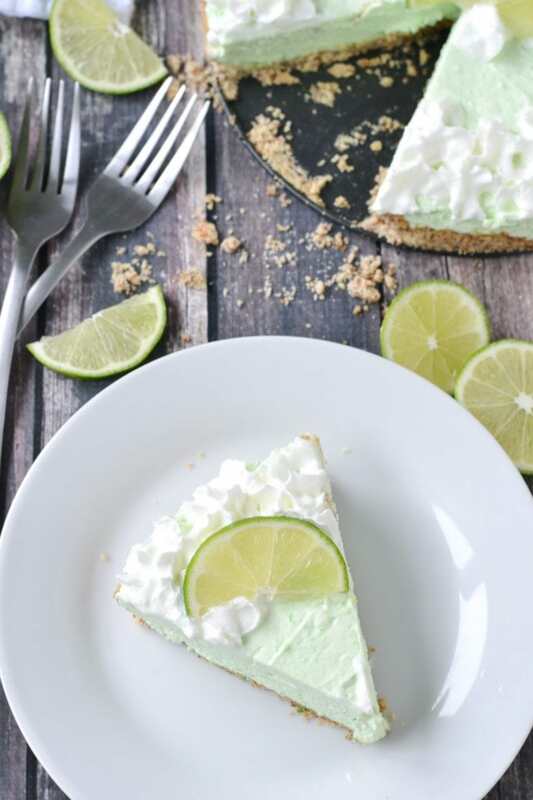 This cheesecake is similar to the lime one I’ve mentioned before. Jenn at Mother Thyme is the creator of it. It’s better to try it instead of lime cheesecake if you’re not a big fan of bitterness. So, if you’re looking for more acidic flavors, try the recipe. There is something about caramel cheesecakes that makes them truly special. Perhaps it’s just my preference for caramel! 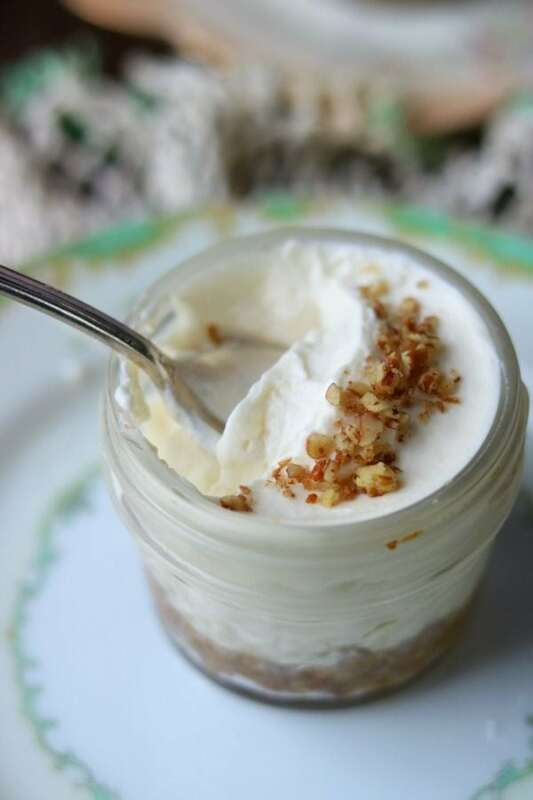 Anyway, this cheesecake comes in jars, so once again it’s easy to track your carbs and calories. It’s very creamy and pecans give it a little bit of very well-deserved crunchiness. Sugar-free caramel syrup is the key to the taste. Also, the recipe requires no baking at all! While this is not a typical cheesecake recipe, if you love brownies, that’s definitely something you should try. It’s an adjusted brownie recipe. I feel like this dessert is great for a more special occasion. Since it’s not something you can find in every café. 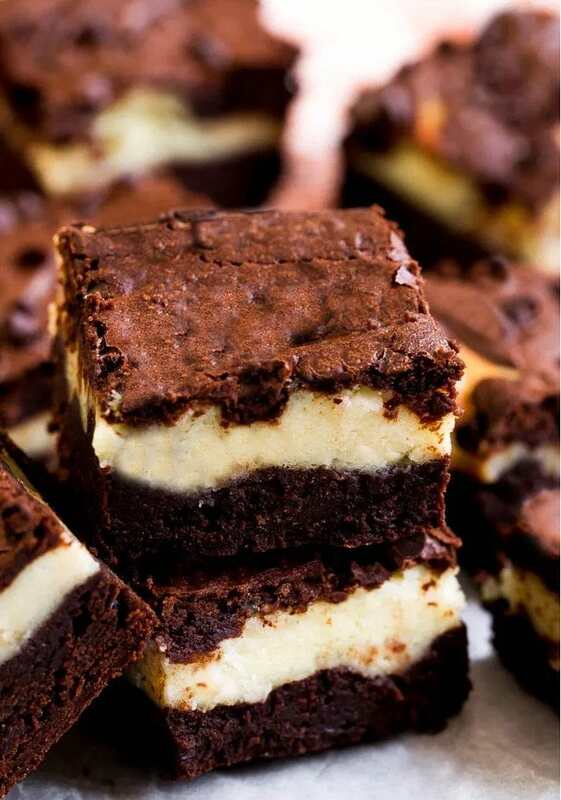 It’s more of a brownie recipe with hints of cheesecake. However, I simply needed to include it because it’s delicious. If you’re on the keto diet and you constantly miss eating coffee cakes (these are the best by the way), then try this recipe. 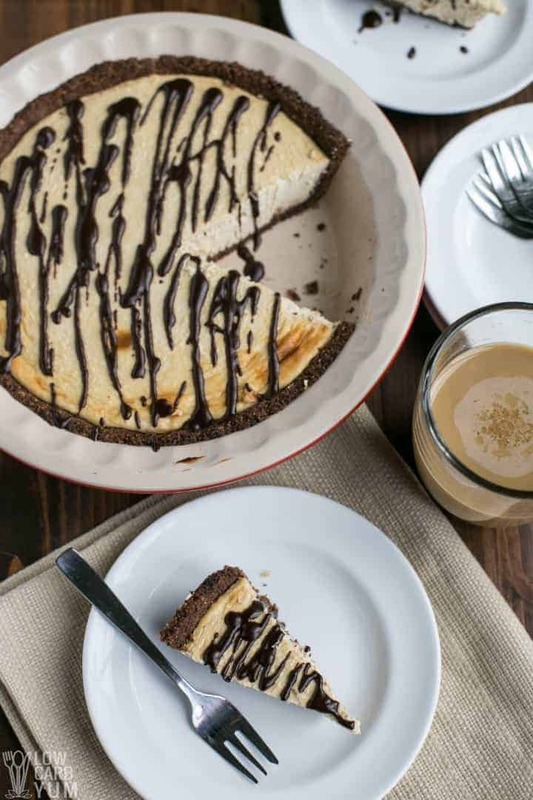 The combination of chocolate and coffee flavors will bring the cheesecake to a whole new level. You’ll feel like you’re cheating your diet without even doing it! If you’re looking for an aesthetically pleasing cheesecake look as well as want it to taste great, this is the recipe you should try. This exactly the type of cake you’d get in your favorite café. 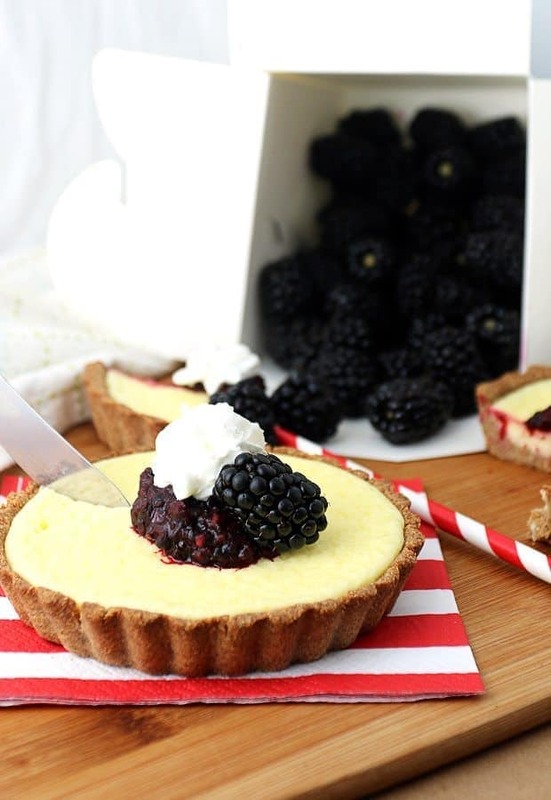 The key to this cheesecake recipe is the blackberry compote that you’ll have to make yourself. However, don’t worry, it’s very easy and delicious. Actually, this is the type of recipe that you could even use in your restaurant, café or cake shop. Loads of people would love to get a low carb dessert in a local shop. I don’t know about you but these are not very common here in Europe. 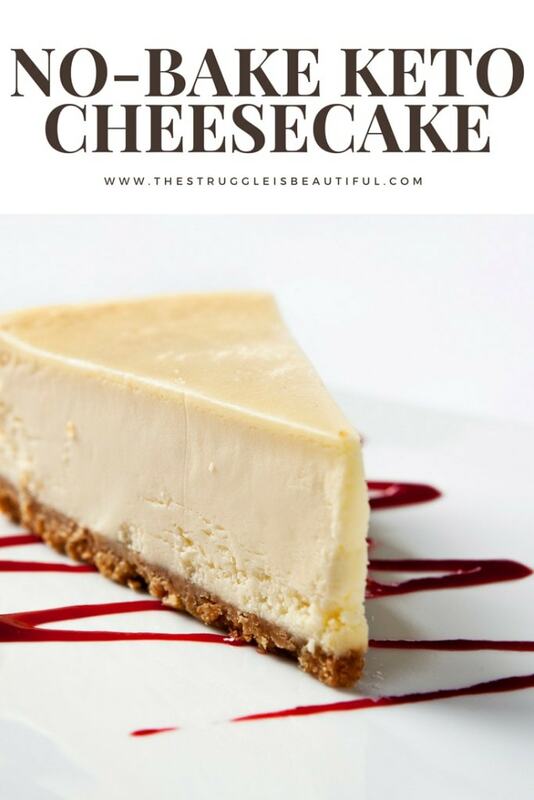 When I saw this truffle cheesecake recipe, I wasn’t sure whether I could even call it a cheesecake. Mostly because it doesn’t look like one. However, it’s so delicious and so interesting that I simply had to recommend it here. This cake will simply melt in your mouth releasing the flavors of chocolate and truffle. Other good news, this cheesecake is actually dairy free. So, if you are intolerant to lactose, definitely try it. The trick here is to use cacao butter and coconut milk instead of regular ones. Like most fat bombs, these are very low in carbs, so you’re safe to treat yourself to more than one. The recipe only requires 4 ingredients. So, it’s truly as simple as it can get. As I’ve mentioned before, Erythritol is an essential ingredient here as well. 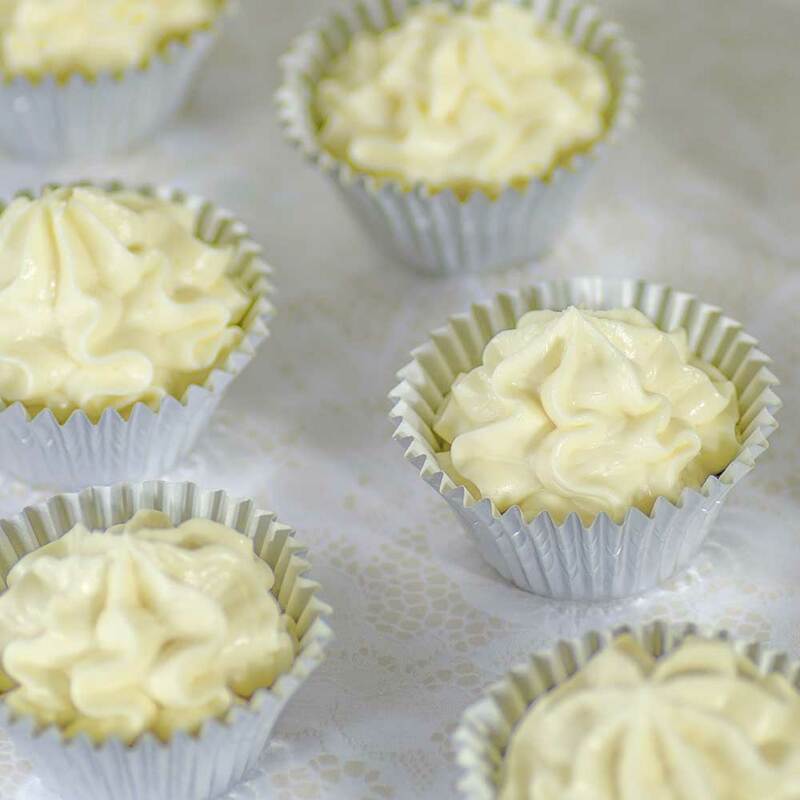 The best thing about these cheesecake fat bombs is that you can make them in around 10 minutes. So, it’s the sort of dessert that requires little to no time from you to make. Enjoy it with your friends and feel free to have a little bit more of these. 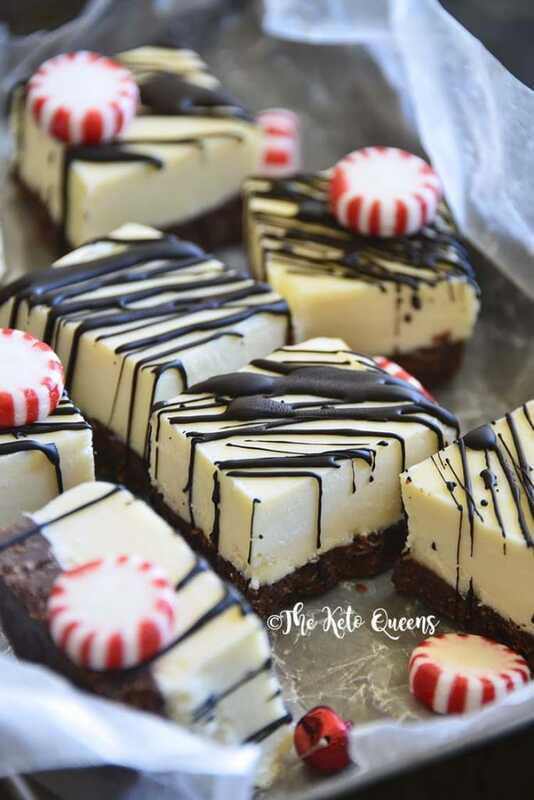 Peppermint and chocolate is the sort of combination that can make your mouth water. This beautiful cheesecake recipe is great for more important occasions: Christmas, Easter, New Year’s Eve, etc. 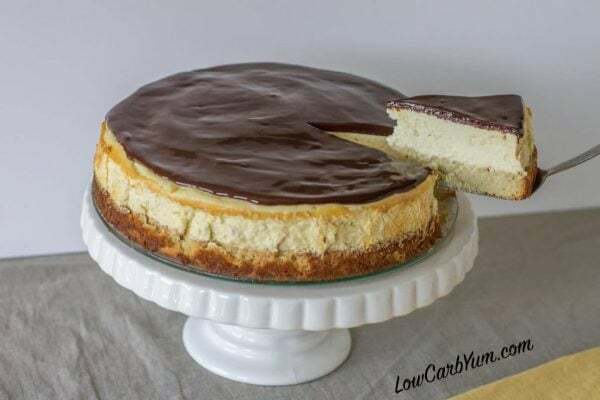 In fact, when you eat this cheesecake, you won’t be able to tell whether it’s low carb or not. It’s a great way to feel like you’re cheating your diet without even doing it. While they do look very impressive, it takes only 30 minutes to make. So, you can trick your whole family into thinking that you’ve worked hard on this one. The recipe recommends collagen peptides but that’s really not necessary. I think it’s a part of their brand deal. However, feel free to add protein powder to them if you need to hit your protein levels. But, truly, not necessary. This cheesecake might look a bit like a mess, but it definitely doesn’t taste like it. 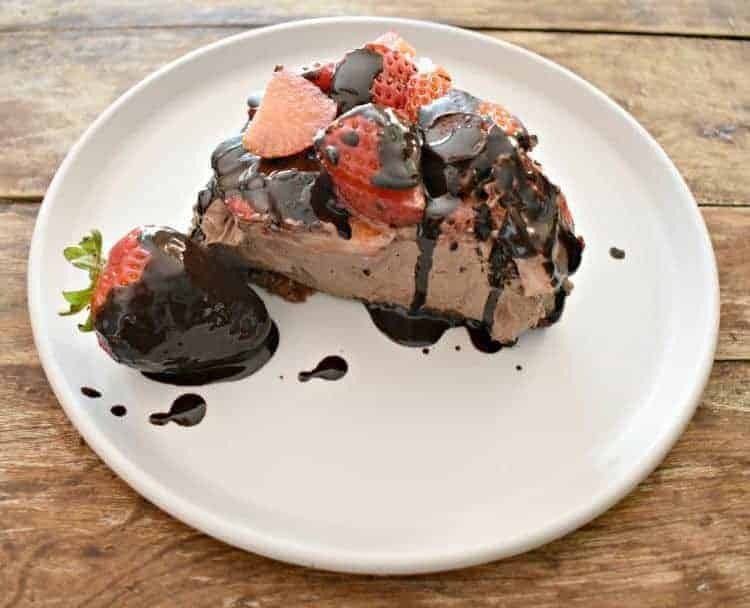 Chocolate with strawberries is generally known as a heavenly combination. However, you can take it to a whole new level with this cheesecake recipe. The beautiful thing about it all is that strawberries taste delicious, they’re pretty sweet but also keto-friendly. So, incorporate more strawberries into your diet if you’re craving for some sweetness from time to time. Make these mini-cheesecakes at home and bring them to a party. Your friends will definitely appreciate it. Once again, since the portion is definite, these are great for portion control. However, they are pretty low in net carbs, so you shouldn’t worry about it. Both the crust and the cheese will melt in your mouth and fill it up with beautiful, soft flavors. Raspberries will bring a little bit of acidity, which perfectly suits the recipe. 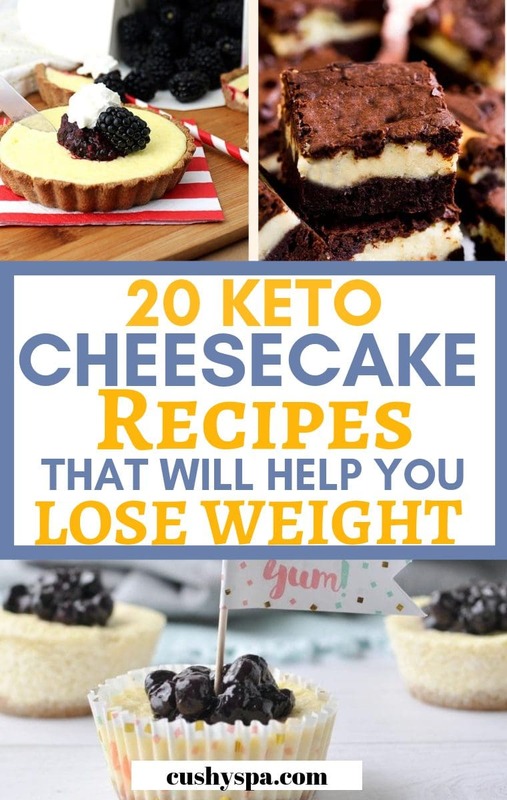 I hope you found these little ketogenic cheesecake recipe ideas useful! 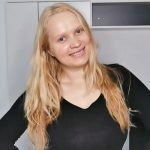 If you’re on the keto diet, I recommend getting more recipe ideas on keto pancakes, chicken dinners, keto lunches, and keto dinners. Enjoy your diet and share your weight loss results!